...is not a tenkara item at all. I have a lot of rods, and with the exception of a few, I would be happy fishing exclusively with any of them. I like level lines and dislike furled lines, but I'm not married to any line brand. Flies? Nope, still not my most important item. I have a handful of patterns that always produce and no one fly is my favorite. 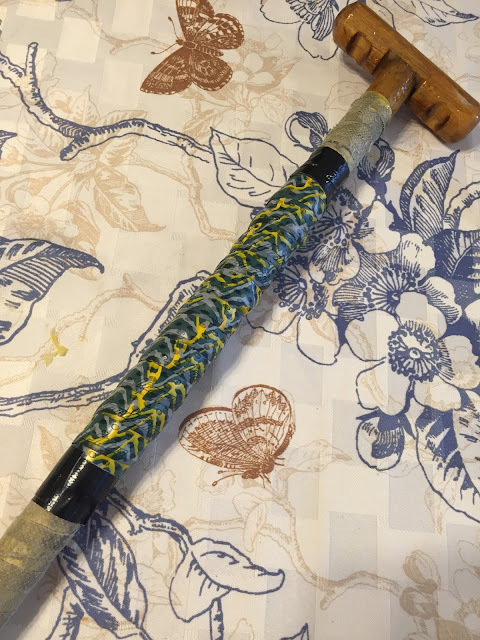 My most important tenkara item is my wading staff. 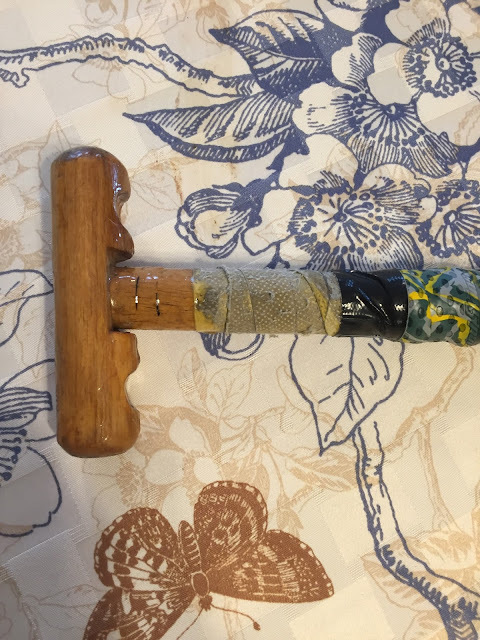 I made this wading staff in 2012. 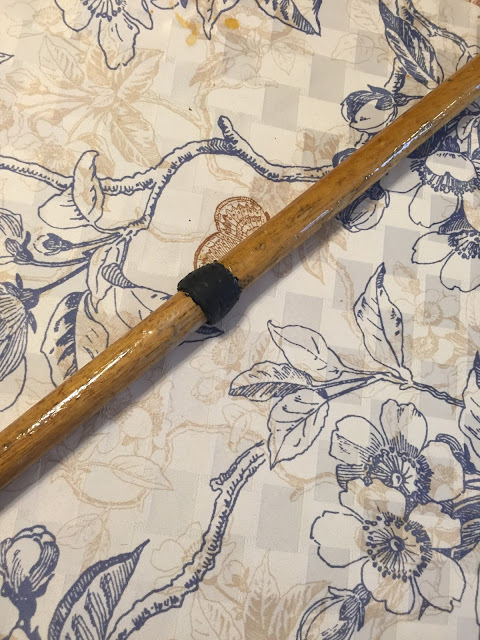 I used a garden rake handle and designed a staff that is long enough for deep water, sturdy enough for fast water, and one that doesn't have harmonic resonance like hollow staffs have. I take my staff everywhere. In fact, there have only been a very few fishing outings in which my staff was not present. It has been my friend through all sorts of fishing adventures. It has, on more than one occasion, saved me from going in the drink. It has saved me from loosing A LOT of flies. 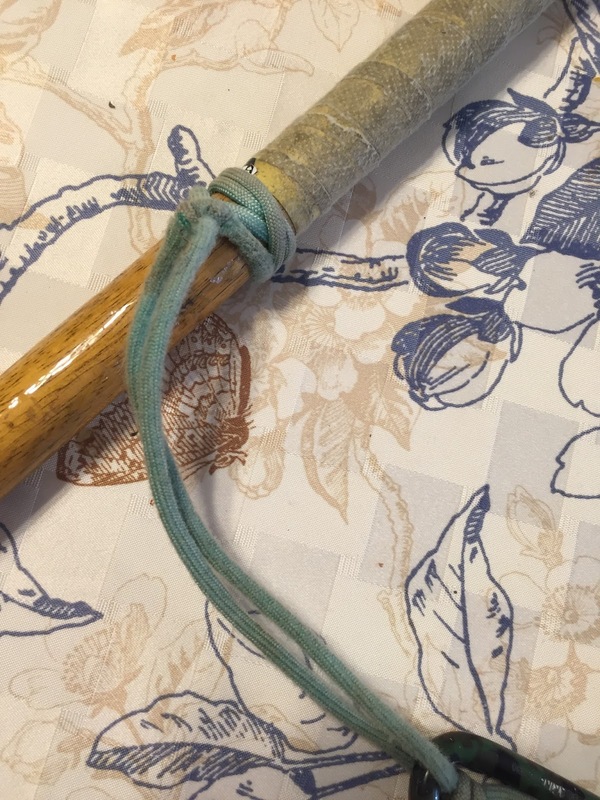 Basically, it's the one tenkara item I would not, or could not, do without. When I made the wading staff I cut off 2 inches of the handle and fashioned a T-top. This allows me to retrieve flies hooked to underwater snags and rocks without getting my arm all wet. It also allows me to retrieve flies snagged in the branches of trees. I use a tennis wrap on the upper portion of the staff. I replace this twice a year. I tie the leash three-fourths of the way up the staff and not at the top because it allows the staff to ride nearly horizontal at my side when I drop it. Just one quick jerk on the tether and the staff rises up and into my hands. 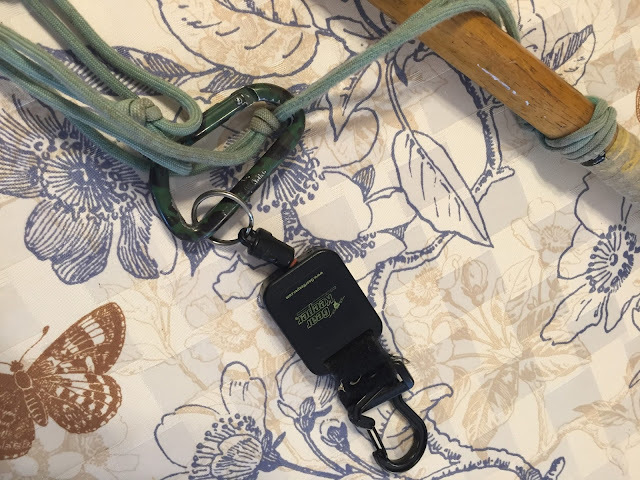 I made the tether or leash with paracord and I attach this to my waist belt with a Gear Keeper zinger. A small carabiner allows me to clip the staff to my belt quickly. The paracord has three knots tied into it, which allows me to lengthen and shorten the tether as needed. The tether is gathered onto a second carabiner. I only lengthen the tether in rare instances, such as reaching very high into a tree. At the lower portion of the staff I have a few wraps of black silicone plumbers tape. This is at the level of me knees, and allows me, at a quick glance, to know how deep the water is -- before I step in. 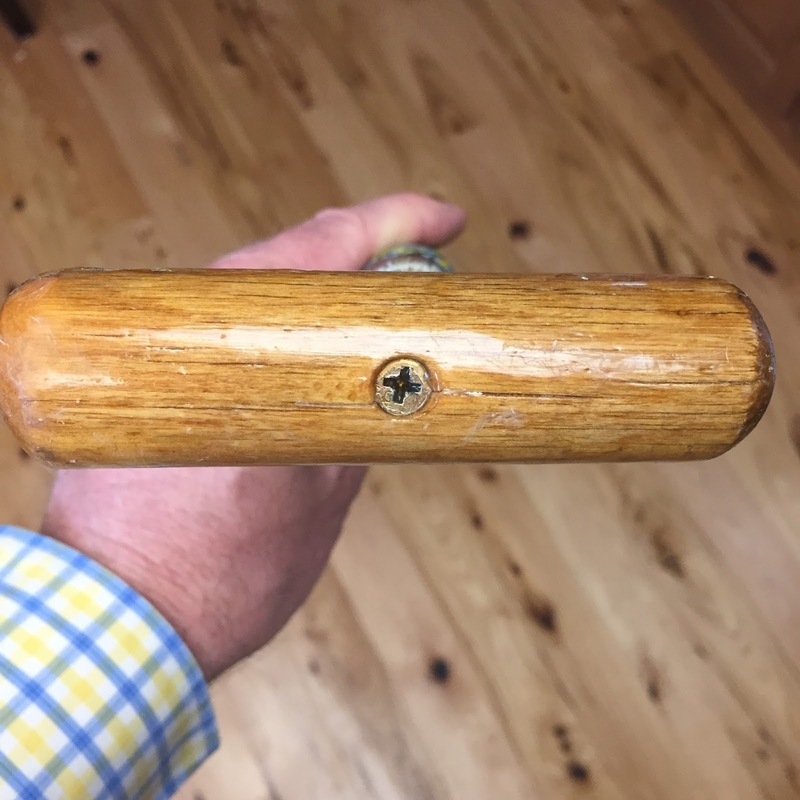 The top of the staff, down to the silicone tape, is protected with spar varnish -- three layers. Below the silicone tape, where most the the water exposure occurs, I use tung oil. Tung oil is natural, non-toxic and food safe. The oil penetrates the wood, then hardens to form an impermeable hydrophobic layer (repels water) up to 5 mm into the wood. 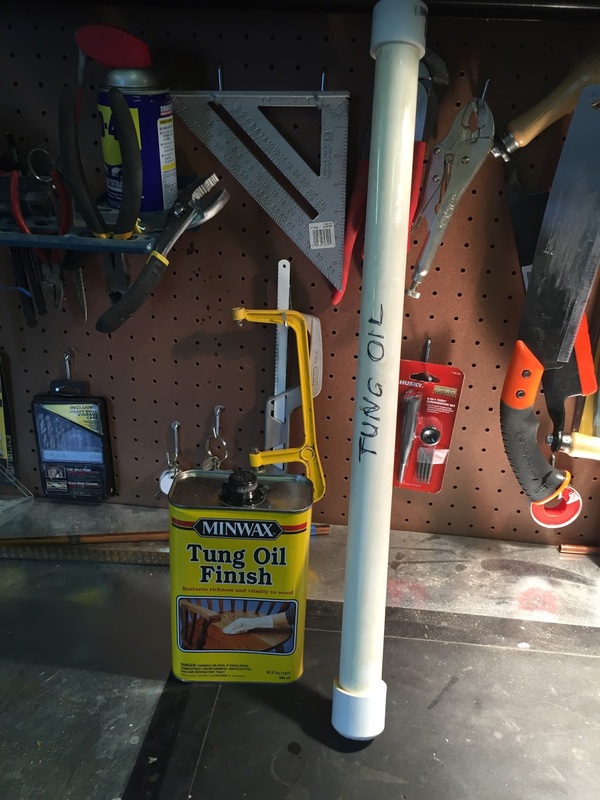 I made a container out of PVC pipe, into which I pour the tung oil. I then insert the staff up to the silicone tape and let it sit over night. After that, I remove the staff and let the tung oil dry. I do this every few months. The only downside to my wading staff is that is does not collapse. This is not an issue for me, since I need stability, not compact storage size, as the main function of the staff. 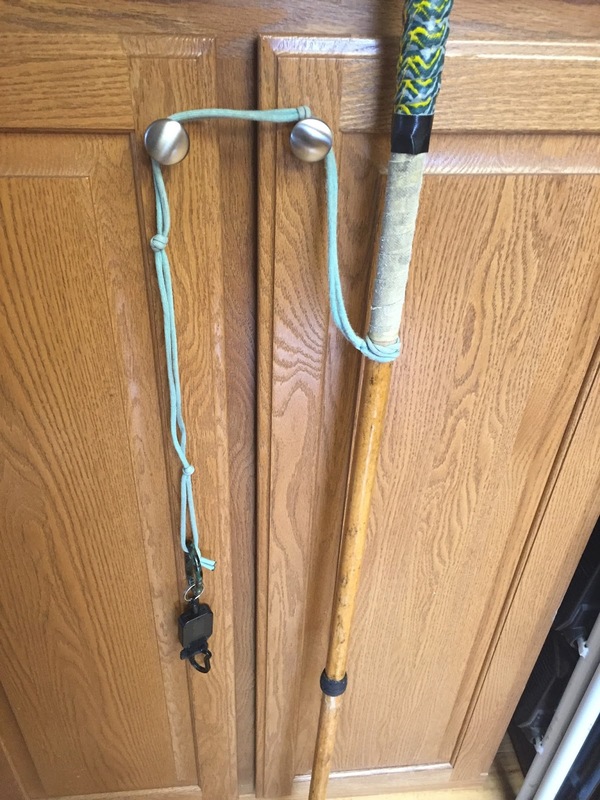 If I'm going to go into the backcountry, hiking off trail and cross country, I use standard trekking poles and wade with one of them. Otherwise this staff is always at my side. 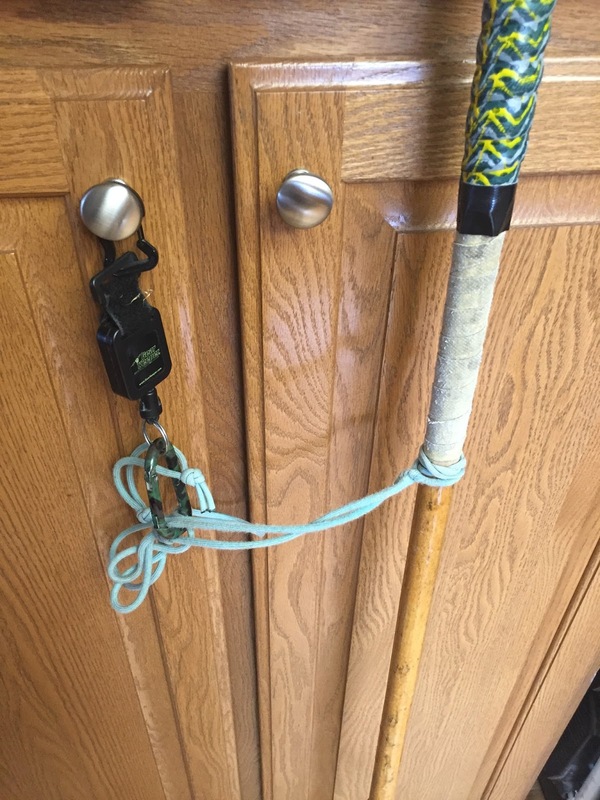 If you hate the harmonic oscillation of hollow collapsible wading staffs when wading in fast, deep water as much as I do, consider making your own wading staff. It's easy to do, does not require power tools and is very inexpensive. That is just very cool - and a work of art, to boot. One question: does the staff taper down to the tip, or is that an optical illusion in the photo? No taper, Photographic or lens illusion. Pretty awesome! Was curious about the staff from your youtube videos. Gonna have to make me one. Have been needing an affordable wading staff. Love that yours serves many purposes.